Once considered the domain of those who couldn’t afford the Great Australian Dream of home ownership, renting is now becoming a fashionable lifestyle choice that the younger generation are happily embracing. Many in the Generation X’s and Gen Y’s age groups are consciously opting to rent, and often paying close to what it costs to own a home in the suburbs each week to do so and are not renting just because of escalating house prices. With a youthful zest for life, a growing number of young professional couples and singles are being lured to the trendy inner city cafe scene. Rather than being tied down with a hefty mortgage they are enjoying the freedom of renting along with the potential to enjoy more expendable income on other luxuries. Busy executives and CEO’s, who travel frequently and are commonly transferred interstate and overseas with their jobs, are also finding the liberty that comes with leasing executive apartment accommodation enticing. These days it is not uncommon to find suit clad yuppies, who earn in the vicinity of $100,000 per annum, enjoying all the mod-cons of a high rise apartment or townhouse close to their place of employment. In other words, being a tenant no longer comes with the stigma attached that you must be struggling to feed yourself! At Metropole many of the properties we rent are newly built townhouses in affluent suburbs that would normally go on the market for sale. However because our clients (who developed these properties) are astute investors, they choose not to sell up and pay hefty taxes, agent’s commissions and marketing costs. Instead they use the equity they have “created” by becoming involved in property development to refinance their investment and buy further properties. In other words, their more expensive traditionally ‘owner occupied’ new townhouses are placed on the rental market, rather than being sold. This means we have a considerable number of luxury townhouses as rental stock and always find a large pool of ready tenants, including affluent professionals and corporate Gen X-ers and Y’s, who choose to live in these lavish properties rather than buy. 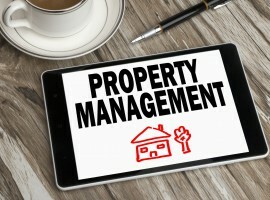 Because competition in the area of executive rental accommodation is growing at a rapid pace, the management and marketing of rental properties is increasingly becoming an area where investors need to ensure the job is done right. With many of these young time poor professionals, the internet is their primary connection to what’s available to let at any given time and they expect, and demand, quality of finish, style and service. As standards of rental accommodation continue to rise, savvy investors will receive great returns if they buy ‘upmarket’ properties in the right location and then pro-actively manage and maintain their assets.